Shortly after we split our wood for winter, we put in some trees in the back portion of the cemetery, which we’ve decided to re-forest (we now call that section Jetta Grove, a place where the Buddha liked to meditate). The trees were donated by Baltimore Green Space. 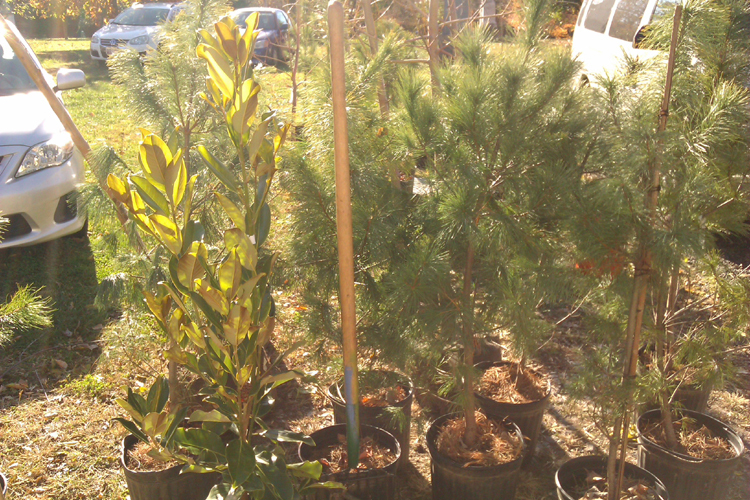 Here are some of the trees that we planted. There are a couple magnolia, and fir trees in the picture. 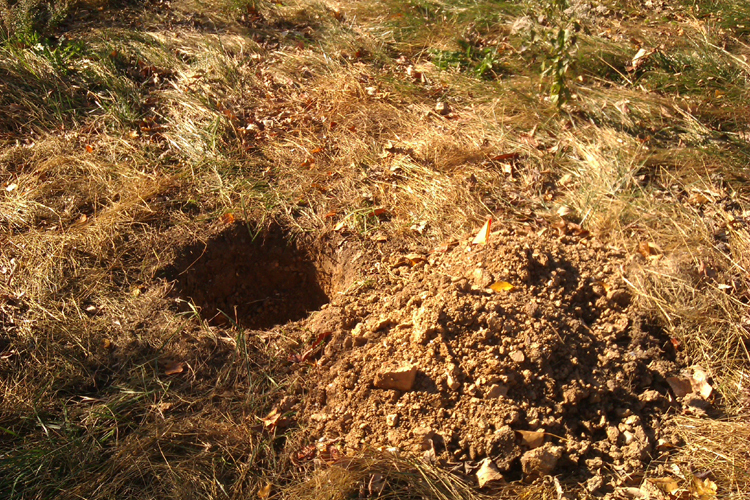 Tucker dug most of the holes ahead of time. This is one of about 25 holes. 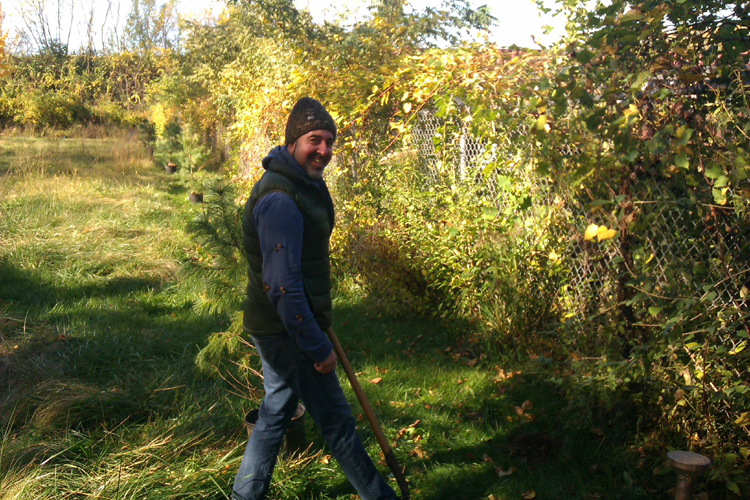 Our good friend Booch also dug some holes, for the fir trees that now line the north fence. 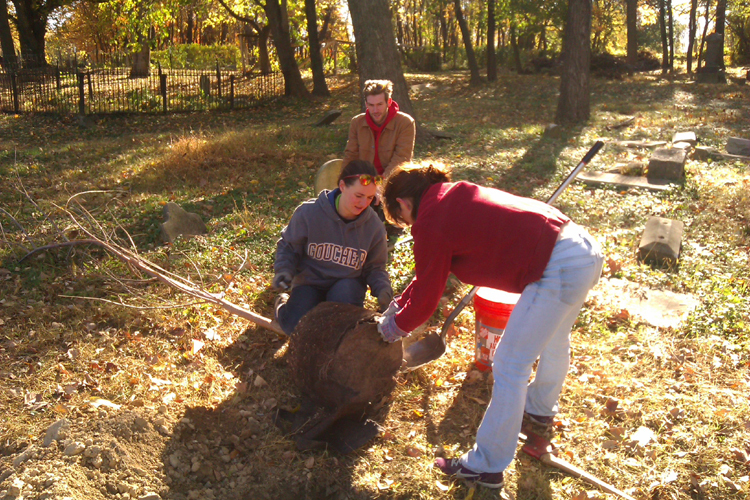 Here Maia, Amy, and Dean work together to plant one of the trees.